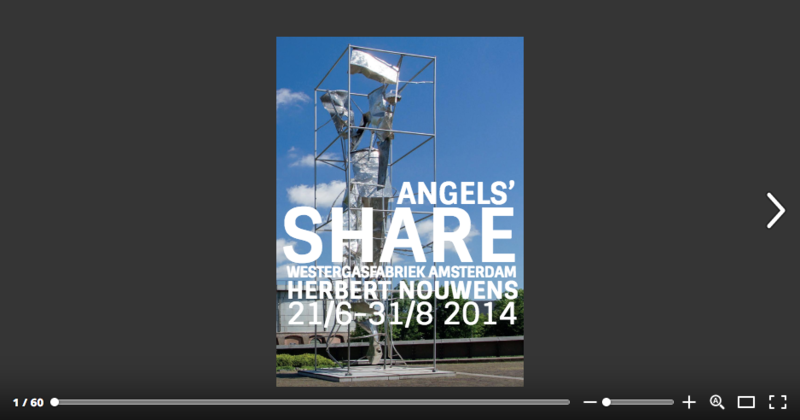 In 2014, Herbert Nouwens had a major exhibition at Cultuurpark Westergasfabriek in Amsterdam. 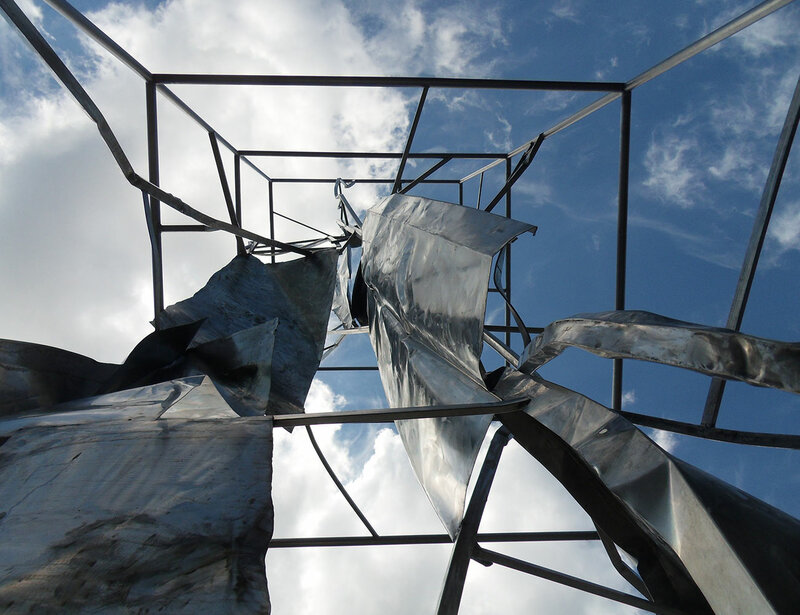 In the nineties he had his workshop there and his 60th birthday was an excellent occasion to show his work at that site. 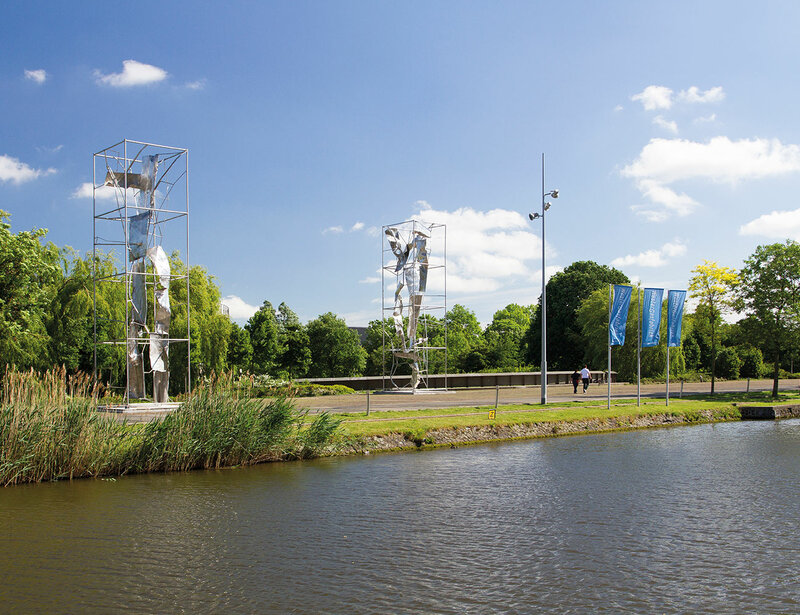 Most of the sculptures from this exhibition were placed a year later along the Brettenpad (see the Brettensuite project). 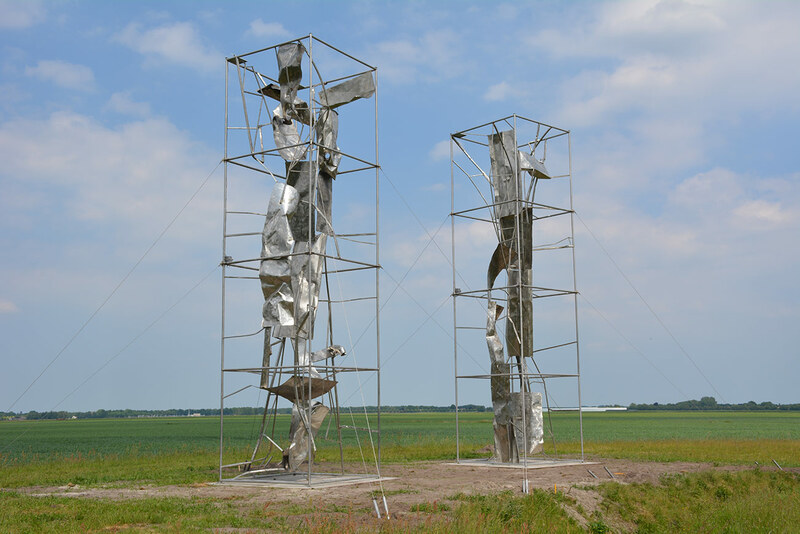 The two towers that are the name carriers of this exhibition Angels’ share, were placed in 2017 in the province of Groningen in Kolham. Open the > Magazine or click on the image.